This project is inspired by the modernity of the fifties. The Nordic flavor distinguishes it and enhances its elegance and simplicity. 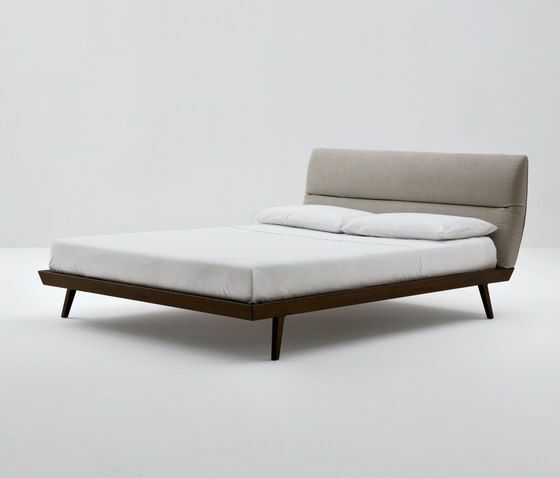 Mikael Bed W. 180 X D. 220 X H. 88 cm. Finishing: Structure in Canaletto Walnut, Smoke Walnut Upholstered Bedhead in Fabrics, Leather, Eco-leather. W. 180 X D. 220 X H. 88 cm. Finishing: Structure in Canaletto Walnut, Smoke Walnut Upholstered Bedhead in Fabrics, Leather, Eco-leather.